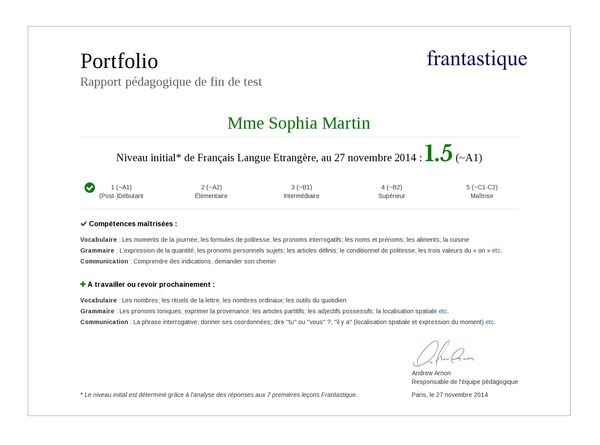 Throughout our personalized lessons, Frantastique provides ongoing level assessment and the option to receive a diploma when your course is complete. After your first seven lessons, you’ll receive personalized Portfolio containing a level assessment and an outline of your current strengths and weaknesses. Your level is determined in line with the Common European Framework of Reference for Languages (CEFRL). As you continue your lessons, we’ll keep your level assessment up-to-date in real time. You’ll be able to see how you’ve improved over time in key areas such as grammar, reading and listening comprehension. Once you’ve completed at least six months of lessons, you’ll receive a diploma detailing your level, progress and participation rate. You'll also see information about your past progress and future revision needs. 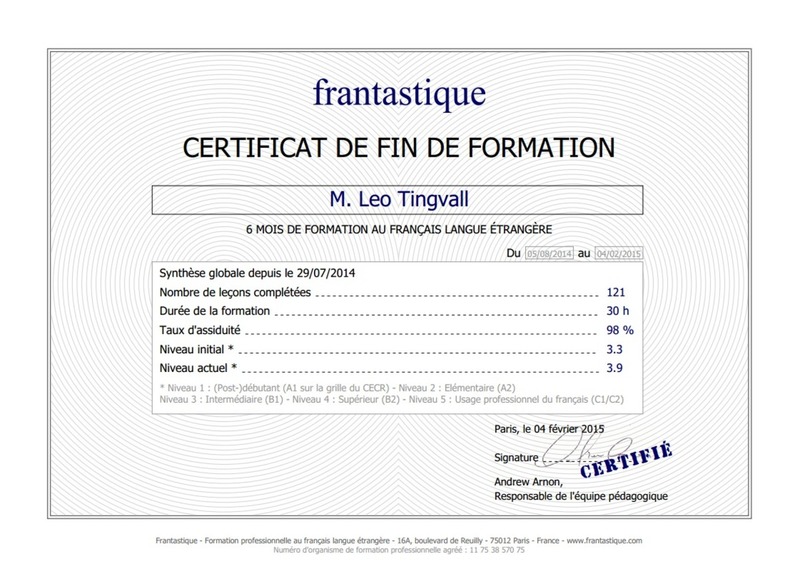 So far, we've certified over 6,000 Frantastique students. Frantastique certification is recognized officially by the French state.